Hi everyone and welcome to our first challenge of 2011. The Paper Players hope you all had a fabulous festive season. We really enjoyed our little break and are raring to go and really excited to see your fabulous creations in 2011. 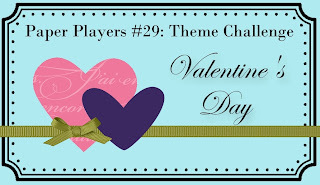 It's my pleasure to host the challenge this week and the theme that Lesley has chosen for us is Valentine's Day. As we are just a little over a month away, it was a perfect time for the design team to get busy and create some fabulous inspiration cards for you. 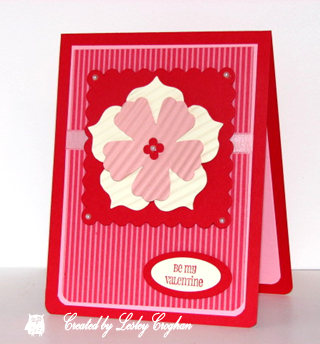 even though we only use Stampin' Up! products for your inspiration cards, you are welcome to use ANY PRODUCTS for your submission cards. There are no rules. Just create a card, scrapbook page or 3D project, load it to your blog or social media page/gallery, with a link back to our challenge site. Please use the keyword PP29. Submissions close at 12 midnight PST on Friday January 14. Winners will be announced sometime on Saturday January 15. Without further ado, let's take a look at the fabulous creations from the design team. Now.... it's over to you. We are really looking forward to visiting your fabulous creations. Great challenge! Valentine cards are so much fun to make.....another excuse for me to embellish! So fun to play along! thanks for giving us such fun challenges. Love looking at all the samples. I'm on a Valentine's Day roll :) May be one more still coming LOL! This is my first challenge with you but I look forward to many more. TFS and the inspiration. Love this challenge. I don't know if I could enter two times, I did, but let me know if it isn't okay. Love everyones cards. Fabby inspirations. Super fun challenge! 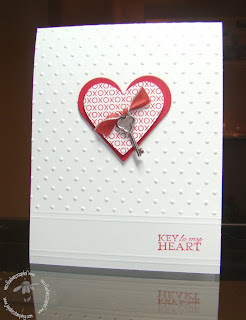 And a great motivator to get a Valentine's card done! Thank you!